Sun Tzu said that terrain features are classified as follows on it’s nature; ① Easy accessible terrain, ② Easy entangled and trapped terrain, ③ Non-profit dead locked terrain, ④ Enclosed defile terrain, ⑤ Steep up and down terrain, and ⑥ Far away land terrain from home country. “Easy accessible terrain” for both enemy and friendly force can easily to come and go which has good avenues of approach. This terrain usually has good advantage point which has good field of view and good avenues of approach. It also can use supply lines of goods. If our force occupied this easy accessible terrain in advance to enemy can fight under good favorable condition. Occupy this easy accessible terrain first, so you can get advantage in battle. Next“Easy to sally or sortie but easy trapped terrain”that is the terrain where advance is easy, but if enemy is strong to withdraw is very difficult terrain. That is easy to start attack but hard to return back, it also called trap terrain. 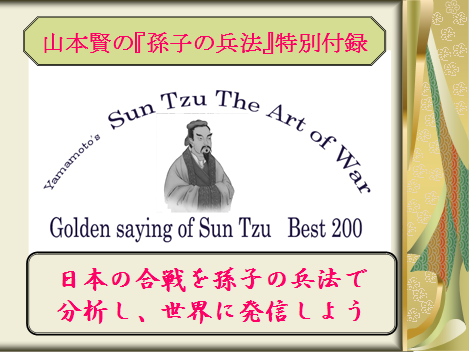 On the entangling trapped terrain, if you attack unprepared enemy you can get victory, but if enemy well prepared to your force, you can not get victory. And difficult to retreat so your force fall into very difficult situation. “Non-profit dead lock terrain when occupied” for both friend force and enemy force such as river, pond and lake etc are disadvantage terrain for both friendly force and enemy force by hold or occupation. Where occupied can not gain profit at all for both side, it is also called “Stand off non-profit gain terrain” Either force can not gets decisive victory by occupation. So you should not advance or attack the enemy, even if enemy you find out enemy weak points or bite. You should induce enemy come out by showing the bit for enemy. You show off the bite for enemy, and when half of enemy come out, you strike the enemy force. This counter attack operation is very effective. Operation at“Enclosed defile terrain”you must occupy first and sealed it off at narrow entrance and wait enemy coming. If enemy comes first and occupy the defile of narrow entrance pass, you should not attack this enemy. But if you did not occupied the defile yet, you may engage enemy as situation permit. “Full of up and down steep key terrain”where you must start the battle at first, you must first occupy this good field view of advantageous point and wait enemy coming. If enemy occupies this advantage point first, you must withdraw from there. You never attack enemy and never follow enemy’s lure. In case of both enemy force and our force locate “Far away distance terrain” from both home country or both headquarters and also occupied on the wide open terrain, it is hard to challenge each other, it is disadvantage to start the attack at first. And even if attack first, the attacker get noting. Above mentioned, the principles of six different types of terrains are very important to general mission and job, so general must study carefully and understand them perfect. It is imperative to examine them. ※　Comment：「大吏」means high ranking officers. 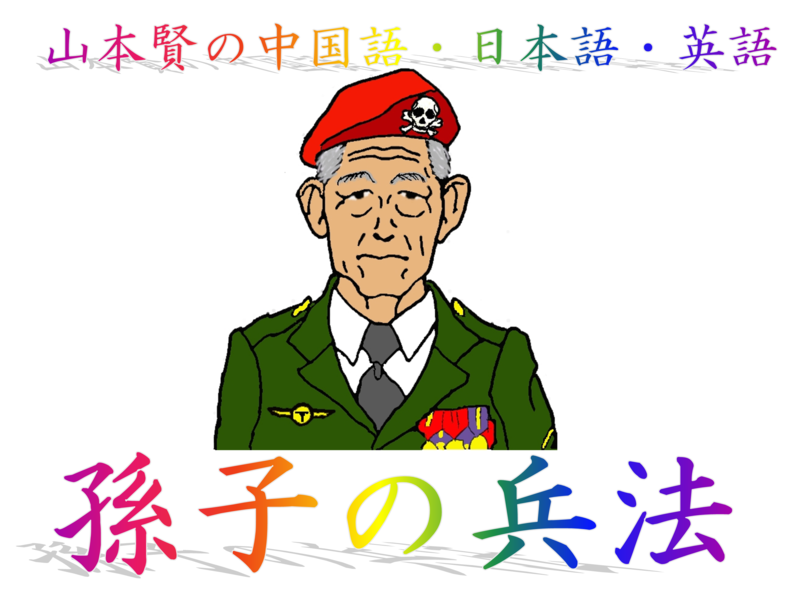 ※　Comment：「選峰」means selected brave soldiers who can use spare head, advance guard point. There are six major breach of discipline by the soldiers in the army which lead debacle the whole army. These are ① Run away soldiers, ② Loose of discipline soldiers, ③ “No fighting will at all” soldiers, ④ Collapse soldiers by negligence of the chain of command, ⑤ Soldiers in chaos due to lack of command, ⑥ Rout in mass soldiers. These are six type conducts of the soldier is not natural disasters, all the responsibilities belong to the general. When the both force strength and conditions are almost equal, the reason for one size force can strike and defeat ten times sized force is only the defeated enemy solders run away during combat. The soldiers are strong and officers are lack of management, this is the same as after shooting bow, it string is slacken after arrow leaves the bow string. Soldiers do not obey officer order and relaxed like a bow string of after discharged the bow. One other hand, if officers are strong and soldiers are stupid and weak, the moral of army will decrease. If each commander starts the combat without obey the order and instructions of the general, each commander fighting only the point of his personal ambitions or personal grudges, its army will be self destruction. When general is weak in spirit and can not set up military discipline for his army, and also his orders and instructions are not clear and luck of intelligence. Then, officers and soldiers are lack of discipline, and its force formations far from perfect. This force is called relaxed force at all. The general can not assess the enemy’s capability properly, so allocate his small army unit engage to enemy large strong force And also order weak and small our force against enemy strong force, and can not select the brave soldiers for advanced guard point by the lack of talented soldiers, these army will be defeated. These six items are the principle to defeat. These principles must be considered well as general’s responsibilities. 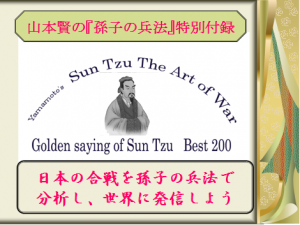 ※　Comment：「敵前逃亡を含む三十六計逃げるに如かず」Run a way tactics including run away in the face of the enemy is the best tactics of 36　in Sun Tzu tactics plan. The officer put saber on his hip. The role of saber is not to attack the enemy it is to prevent the desert of soldiers under enemy’s fire. In case of Banzai charge【積極果敢な玉砕突撃】by unsheathed Japanese sword shock troops【抜刀切込隊】in the Pacific War, Japanese sword often used for moral boosting not for weapons. ² One Plane for One Warship. l By use of air plane made by sheets of plywood. ² One Boat for One Ship. l By use of speed motor boat “Ocean shaker「震洋」” which is also made of sheets of plywood and second hand automobile engine with depth-charge. ² One Man for One Tank. l By use of carry back type Anti-tank mine which called a sit down floor cushion type anti-tank mine【対戦車座布団地雷】. ² One Man for One Division. l Handed only one hand grenade. ² One Man for 9 red-hair barbarians. ??? l Handed ten rifle cartridges. Oh! Miscalculation. One round surplus? These are almost same as Thirty-second Army’s slogan commanded by Gen. Ushijima. This tactics need superb leadership. The organization without leader is the “Sheep that has no shepherd”. Terrain configuration is the assistance measures for combat and soldier’s best ally. A skillful general upper class will perceive his enemy’s situation correctly and make calculation as to terrains are steep or not, flat or not flat, and as to distance is near or faraway, and making war plan. He who knows these factors and do a battle with full understand of them will win in battle without fail, but do not understand them will be defeated in battle. So if general has the foresight for can get a victory by war simulation without fail, in this case even lord says do not fight, general should start the battle his own tactics. On the contrary, when general calculates the battle simulation and get his conclusion of cannot win, general should not start the war even if lord orders the general to stat of the war. Therefore these able general advance his army with own decision and get victory in combat, he do not seeking his personal good reputation, and also does not evade the responsibility of operation when he defeated at battle. General who wishes only the safety of people and the national interests from the bottom of heart is the treasures of the nation. General Hideki TOJO starts the Pacific war who wishes the safety and profit of Japanese people and Emperor from the bottom of his heart. And started the Pacific war. Japan could fight about 4 years but was defeated and accepted unconditional surrender from United Nations. Gen. TOJO became the Class A war criminal and death by hanging instead of the treasures of nation. 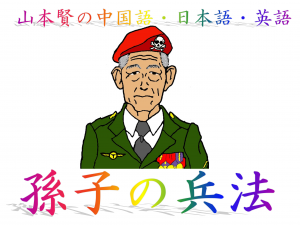 General TOJO might be resentment the verdict of International Military Tribunal for Far East 【 IMTEF 】(極東軍事裁判) which is called phony monkey show【インチキ猿芝居】or Kangaroo court【えせ法廷】by great powers【列強国】. ”But Japan only conducted an imitation of western countries colonial policy【植民地政策の真似】as a new entry country【新規参入国】. So Japan has not enough skill to control colony as Great Britain, Dutch, and France. But if Japan had got victory in WWⅡ, High Excellency Gen. TOJO would have been the treasure of the nation【東條閣下は、国の宝也】without fail. If general raises and trains his soldiers as if general’s beloved babies, so in case of general command his soldiers at will like his children, and even if general goes to dangerous place such as deepest valleys etc, they follow the general with joy without any doubt. If general raises and trains soldiers as if general’s own beloved children with hard and strict discipline, so soldiers do not hesitate danger and hard work with general. If general raises soldiers only with warm like a beloved baby and can not command and use soldiers like an arrogant baby, these soldiers can not use in combat at all. The hard education & training and strict discipline from babies with full of affection. Soldiers bear in mind “The pride of obedience”. This is not “Master and Slave system” of old slavery system. This pride is almost Jihad in Islamic fundamentalist. If general knows the strength of enemy and its week point very well where to strike in advance, but if general does not know his own soldier’s capabilities and can not decide commander’s estimate of the situation properly, the general can gets half chance of victory. To know the ability of enemy force very well and to know our force ability very well too, but even if do not know terrain features very well is not good for our force movement and maneuver, the victory percent of our force is fifty-fifty, evenness. There for general who know the art of war very well, after start of war, he do not wander at all, what I ought to do. And also he does not encounter the risk after the start of war. The reason is he is always perfect analysis is done before the start of war. So it is said that; when you know yourself and enemy, victory is not in danger at all. Therefore you must know both the enemy and yourself, then you can win in the battle. Those who know the merits of sky and earth which means weather and terrain on the battle field never defeat by enemy. As to speak another words general who know and maximum use of weather and terrain features can get victory and never defeat by the enemy. It is not good cannot decide quickly by the lots of bewilderments and hesitations, or Unable to make a decision by bewilderment and hesitation. “Quick conclusion and instant decision” is best in tactics. 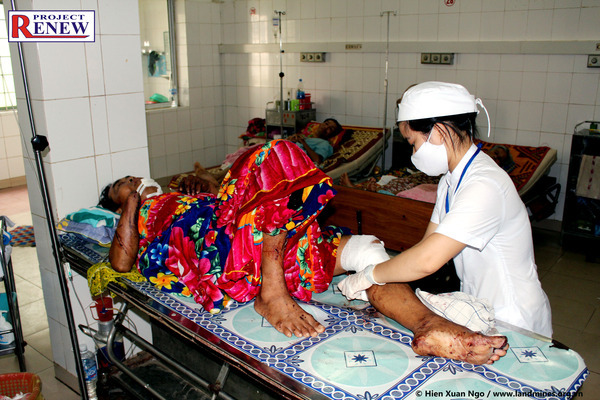 Trieu Phong District, Quang Tri Province, 30 OCT 2012 – A 67-year-old man, father of a son and two daughters, and three grandchildren, on Monday afternoon suffered serious multiple injuries from unexploded ordnance (UXO) as the old man was attempting to dismantle it and sell it for scrap metal. An unexploded U.S. MK 82 bomb found yesterday in Lang Vei, the former US Marines base, has been safely removed by a Project RENEW’s Explosive Ordnance Disposal (EOD) Quick Response Team for destruction later today. Follow us on Facebook, YouTube, Flickr and Twitter.